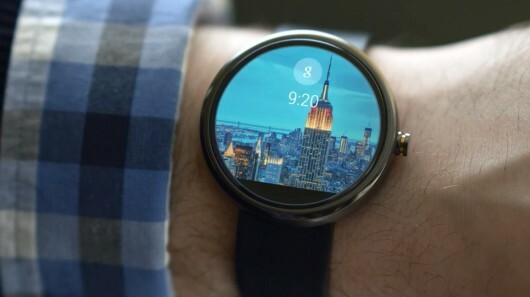 Qualcomm says, “Wearables aren’t a fad” and they may just be right. It’s absolutely true though when you think about it. Sure, the smartwatches that barely last an entire day or the exorbitantly expensive Google Glass might seem more gimmick today than useful compared with our laptops or smartphones, but this completely ignores the long term potential of these devices. Technology is supposed to “disappear” into our everyday lives and while many of us have grown accustomed to carrying around a phone everywhere, this was not always the case. Imagine a future where the technology is sewn into the clothes we wear. The clothes would monitor all of our vitals and stats and, who knows, maybe they’ll adjust their size based on our form – even after we’ve eaten a big meal like this smart belt. They could even control our body’s temperature so that if we’re working out or outside in the sun, it’ll adjust to keep us cooler. We could go on and on about possible scenarios like this with other everyday items like watches, glasses, necklaces (NFC jewelry, anyone? ), shoes, suit jackets, etc. The message is the same. As technology becomes smaller and more powerful, it becomes easier and easier to integrate into the things we wear. We’re currently in the beginning phases of this transition, but we are getting there. Twenty five years ago, no one would have dreamed that the desktop would be crammed into a 1.72 pound laptop with top of the line specs and years before the desktop, no one imagined the entire room-sized computers of the day would fit on the desks of homes and offices everywhere. Wearables aren’t a fad. They’re the future that hasn’t fully taken shape yet.